I know this has been a long time in the works, but it is finally done! A couple of weeks ago, I received a package in the mail from the fabulous people over at Funky Toys, full of Tokidoki Blind Boxes. I honestly could not contain my excitement when I saw the adorable little boxes and wanted to open them up instantly. However, I stayed strong for all of you and waited until I could film an unboxing of them. This way, we can all experience the thrill and anticipation of opening up a blind box together. The element of surprise has really taken the toy market by storm and it seems like every person on the planet is talking about shopkins. However, the small tiny shopkins do not appeal to me as much as the tokidoki figurines do. They have far more detail and are of a decent size. Plus, mindblowingly cute! My favourite series from tokidoki has got to be Moofia. Perhaps it is my love for dairy or the fact that these dairy themed characters are spot on. Personally, I am loving the Latte character because yah know... Pink Tea Latte DUH! And the fabulous people at Funky Toys are head over heals for the Moofia chaser (rare character) Bocconcino. I am still learning how to use my different lenses for my DSLR Nikon. Fun fact, tokidoki is a very kawaii in design; however, it is the brain child of Italian artist Simone Legno and the japanese-inspired lifestyle brand is based out of LA. Who knew?!?! Well I did hehe! In total, Funky Toys sent me 4 Moofia Blind Boxes and 1 of each: Cactus Kitties, Unicorno Series 4, Unicorno Frenzies & Tokidoki-Hello Kitty. A total of 8 mystery characters to unbox. Ah! I also want to reiterate that the boxes say "this is collectable art" aka these are not toys. Therefore, completely justifiable for a 22 year old fifth year bachelors of science student to have. The last thing I want to say before I get into what characters I got is that the amount of detail in the packaging is quite astonishing. These boxes are beautiful! I love time and care that went into designing them all and the fact that the Moofia boxes are little milk cartons - genius absolute genius. From the Moofia series I was really hoping to get the Latte character since well Pink Tea Latte duh, but it seems like luck was just not on my side :( Not to fret, I got four really incredibly adorable characters! The first one I unboxed was Half & Half! Loving the attention to detail, the winking expression and the adorable cow horns. Next up was YO! This is the new character that was added, an adorable yogurt container with red sneakers. Again, astonishing attention to detail. 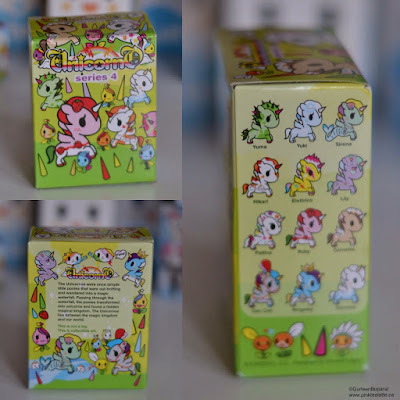 From the Unicorno series 4, perhaps a little redemption, I unboxed Creamino! The little Latte Unicorno!!! AH! And instead of one horn, it has two because cows have two hehe. So this one is a nod to the Moofia series! However, I am disappointed in the quality. I have seen other youtubers state that there is a drastic difference in quality between the series 4 and prior series. The paint job is splotchy and not completely opaque as well, it seems not well assembled. Hoping Tokidoki realized a decline in product quality and will switch the manufacturer for upcoming Unicornos. 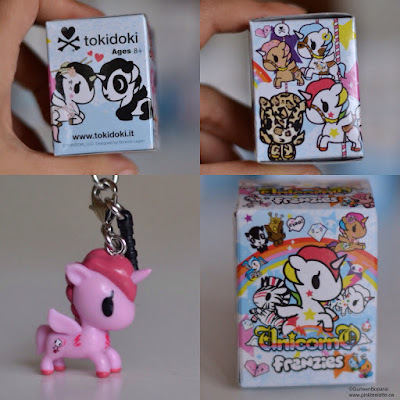 Next, I unboxed the itty bitty unicorno frenzies aka phone charms. We got an adorable little pink Unicorno named Bellina. She has the Till Death Do Us Part Tokidoki character's Adios and Ciao Ciao on her bum. Haha as I had promised in the video, I am getting up to date on my Tokidoki characters! The unicorno frenzies quality is amazing, so again, not sure what happened with the Unicorno Series 4 in terms of product quality. The most tiniest blind box from Tokidoki has got to be the Cactus Kitties. I unboxed a badass little black cactus kitty named Bandito who came with an itty bitty salmon which he of course stole because he is a burglar hehe! But even though the box is minuscule, there is a huge amount of detail jammed in onto it! 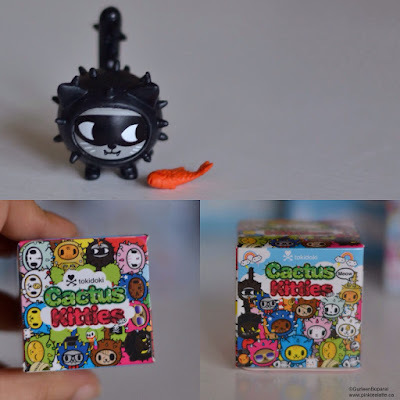 Also, I believe the Cactus Kitties are the only Tokidoki blind boxes that come with an accessory to the figure. 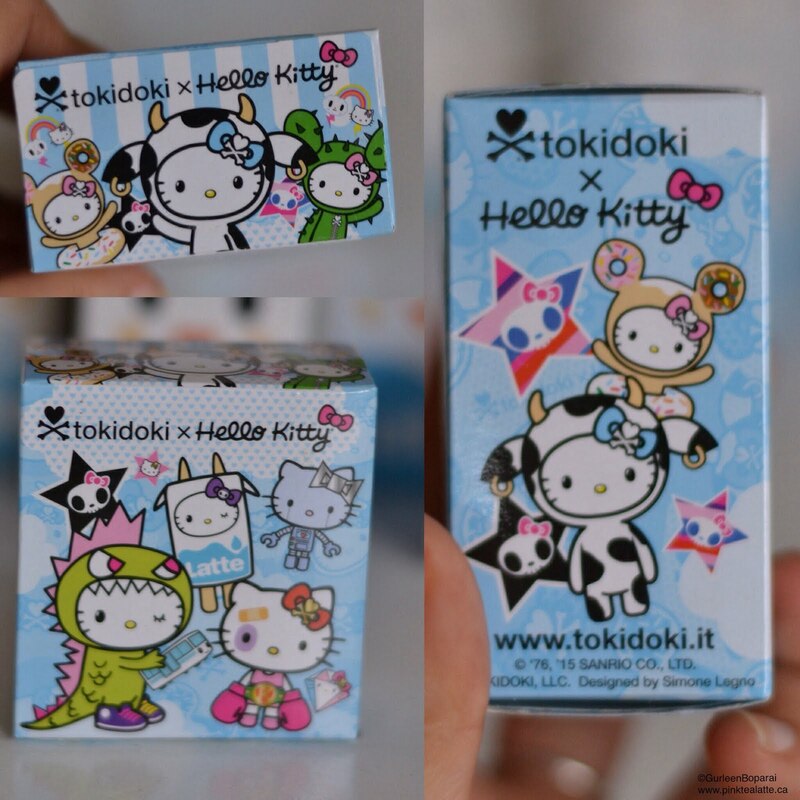 We are at our 8th, and final blind box sent to me by Funky Toys :( The Tokidoki Hello Kitty Blind box. We got Hello Kitty dressed as Donutella! Haha so cute! Doughnuts are always a good way to end things hehe. 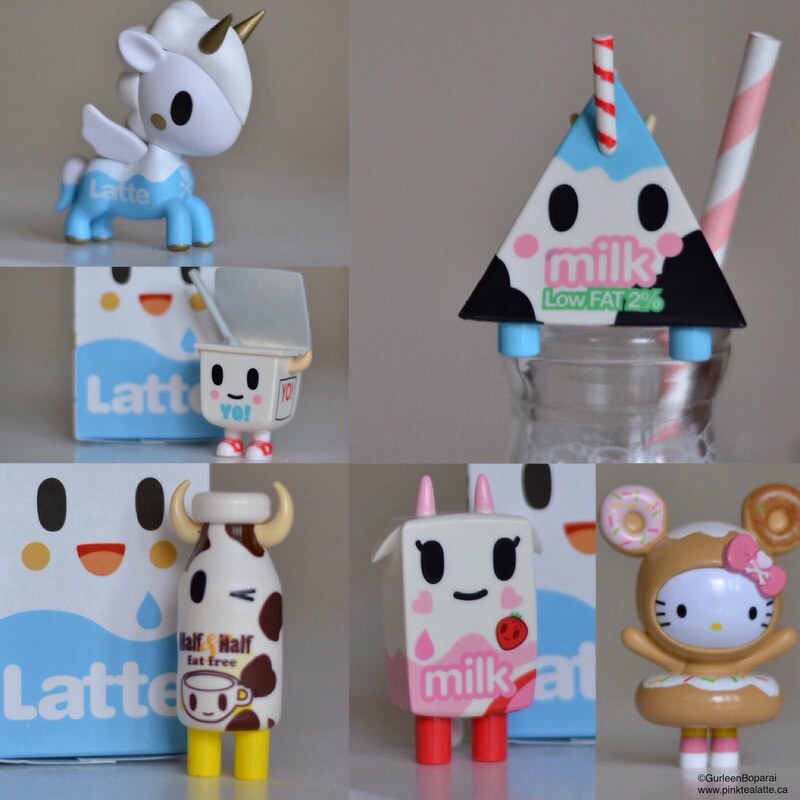 I am looking forward to all the new blind boxes being released this year, 2016, from Tokidoki: Moofia series 2 - OMG YES! 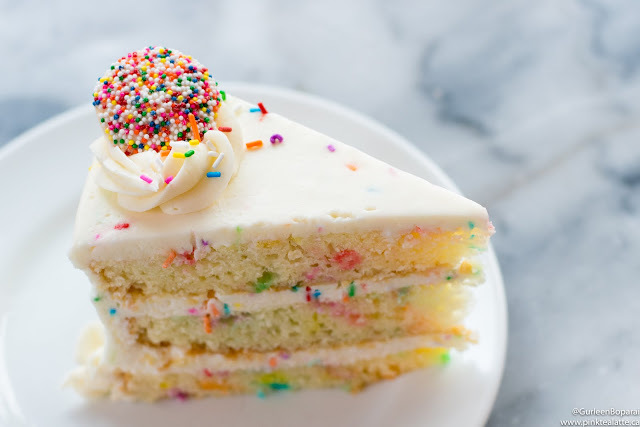 - Unicorno Frenzies 2, & Mermicornos!!! Definitely keep your eyes out for them because girl, we all need a little 4 Litre milk jug from Moofia in our lives hehe. 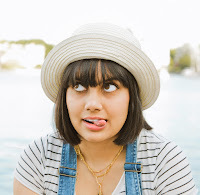 If you want to see more posts like this and think that youtube video was not too bad and would want me doing more, please let me know in the comments below!